settembre 2017 – Close up on me ! Head Skin Applier : L’ETRE – Natasha – Golden Tone. By David Cooper (dam1710) NEW!!! Shoes : KC COUTURE – Shelby Heels – with Hud!!!. By Klari55a NEW!!! Hair : DOUX – Shanna Evans – Fades Pack . By Javiersasoo/By David Cooper (dam1710) NEW!!! 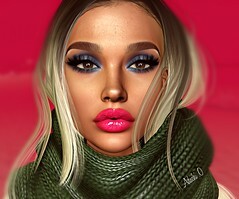 Hair : DOUX – Candice – Fades Pack . By Javiersasoo/By David Cooper (dam1710) NEW!! !